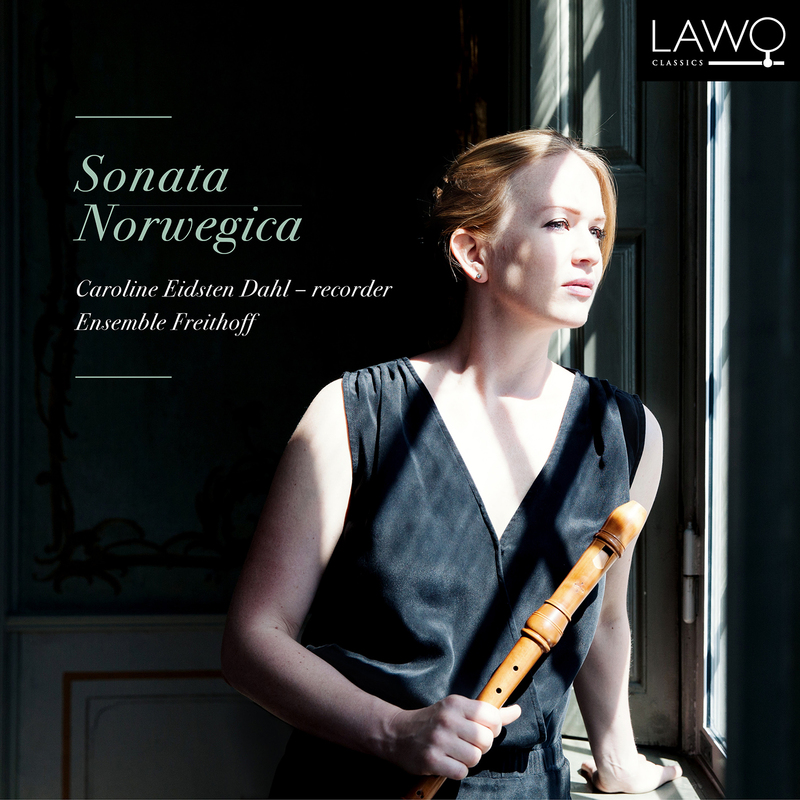 On “Sonata Norwegica” recorder player Caroline Eidsten Dahl and Ensemble Freithoff present three Norwegian composers and one who is Swedish: Johan Henrik Freithoff, Georg von Bertouch, Johan Daniel Berlin, and the Swede, Henrik Phillip Johnsen. The ensemble has selected music written in Norway and Sweden around 250 years ago, and it is virtuosic, ardent and original. Does a clear definition of Norwegian baroque music exist? Can one hear that the compositions on this recording are from Norway and Scandinavia? We believe the answer to both questions must remain ‘no’. This music was composed a hundred years before National Romanticism’s clear definition of national character. Even so, there is little doubt that being outside the centre of things can lead to a certain originality, perhaps more or less deliberately from the side of the composer. In spring 2007 Caroline Eidsten Dahl (b. 1980) was one of three winners of Concerts Norway’s international programme “Intro-klassisk”. Since then she has distinguished herself as a soloist and chamber musician and has toured in Russia, China, India, Denmark, Sweden and Norway. Her debut album on the LAWO Classics label, “Blockbird — Norwegian Recorder Music” (LWC1069), has received glowing reviews. “Sonata Norwegica” is her second album with LAWO. Ensemble Freithoff is: Christiane Eidsten Dahl, baroque violinist based in London; Kate Hearne, baroque cellist based in Helsingborg; and Vegard Lund on theorbo and baroque guitar.